I’m in love with this comforter. Very full and prefect weight for me. Cozy up under this ultra-soft and luxurious oversize comforter. Made from premium Egyptian cotton with 1000 thread count, this plush comforter offers unparalleled comfort and the right amount of warmth. In five versatile color options, this comforter is hypoallergenic, making it ideal for any customer. I will begin by saying I have never written a review in my life. However, I was so disappointed in this product that I felt the need to warn people against buying it. Based on the price and the description, I was expecting a nice, fluffy down comforter, just like the other down comforters I have in my home. Unfortunately, what arrived was as light as a feather and flat as a pancake. It looked lost inside my duvet cover. Needless to say, I returned it. On a positive note, I had a great experience returning this product. I spoke with an incredibly sweet and helpful customer service representative who provided me with clear, concise instructions with regard to making my return. I was literally on the phone for a maximum of 3-4 minutes. I didn't even have to pay return shipping. I have ordered from Overstock in the past and will continue to do so in the future. I will not let one disappointing product stop me from purchasing from here. I was so tired of my husband shifting all the covers to his side of the bed while I would cling to a skimpy side piece of the comforter. This oversized down comforter is long enough to tuck in at the bottom to keep it from being shifted and wide enough to hang over a full 12 inches so there is no need for him to pull it over to his side in the middle of the night. Yay! Finally warm and comfy. I purchased a queen size however it is NOT a standard queen. I can't find a duvet cover to fit. Queen is too small and King is too big. It does say in the description that queen measures 90 inches wide x 98 inches long. However, it didn't even occur to me that queen can come in different sizes and now I can't find a duvet set that fits. Very disappointing... Besides that its ok, feathers do gather at foot of the bed so I have to flip it around once every couple of weeks. Its pretty warm but not too hot for us, I think the warmth factor is pretty good. Its fluffy and feathers don't seem to be coming out so far. No issues with quality since we bought it a few months ago. I am totally pleased with this purchase and highly recommend this Hotel Grand1000 thread count Egyptian Cotton Down Comforter. I like the baffle construction and the 700 fill a lot. We live in northeast, where winters are cold and snowy, I am confident this comforter will keep us warm and the down fill will stay in place! Very soft and cozy oversize comforter. I highly recommend for anyone who enjoys luxury at a great price. The Egyptian cotton cover is 1000 thread count and the comforter has a baffle box construction that ensures the white down fill stays neatly in place. It was the perfect weight for year round use. The bad reviews are more accurate than the good!!! Like most of you I looked around for hours trying to filter through the reviews to find a down comforter. This one is not fluffy, it is very thin to the point where there are compartments with maybe 4 feathers in it. They fill the edge compartments to make it look big. This would actually be a great comforter if they filled the middle compartments with as much as the edge ones. [...] If you're looking for that cloud comforter this is not it. Also it doesn't come with any labeling so they could be sending you any old comforter. My thoughts are they sell nice ones for the first year and then pawn off crappy ones for the next year, only way the poler opposite reviews could make sense. 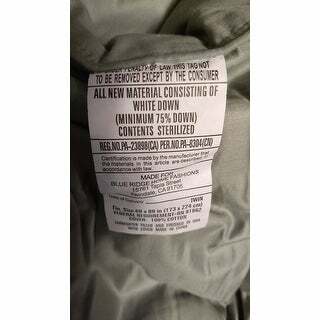 I'm going to try the: Hotel Grand Oversized Luxury 1000 Thread Count Egyptian Cotton Down Alternative Comforter. I'll report back! From the first night I have slept using this comforter, I have been in Heaven! I have not had a down comforter in years and was determined to get another one - but have been looking for one in a color and NOT white. Found one! Besides offering colors the softness of the cotton cover is superb! So soft to the touch - no snagging... The weight is a medium weight just perfect for new England nights. I am totally pleased with this purchase and highly recommend this Hotel Grand1000 thread count Egyptian Cotton Down Comforter. Also -FYI - bought it for a king size bed and is a perfect length and hangs down the sides of the bed. I loved this down comforter! This 1000 Thread count, white down comforter is luxurious ! So soft and just beautiful! This is a nice, quality made Oversized Down Comforter. I recommend this to anyone looking for a warm, quality made, substantially soft Egyptian Cotton Down Comforter. I had really high hopes for this comforter when I received it in the mail. The fabric is super soft and luxurious. I can see why they added different colors making a duvet cover not absolutely necessary. However, I became disappointed with the quality of the stitching after 1-2 months. All the down ends up at one end of the comforter. This didn't happen with my previous Overstock comforter purchase in 2007 and another comforter purchase from a major retailer. Unfortunately, had to return this one. 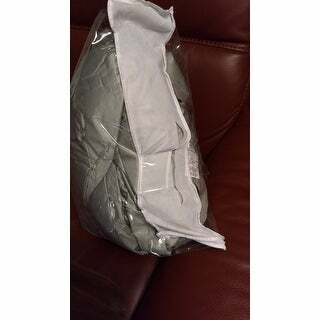 The comforter was delivered in a torn bag that was taped over. It did not have an original tag on it either. Therefore, I am not sure whether I received what was advertised. The comforter is much thinner than it looks on the picture. I will return this comforter. .......which is exactly what I was looking for. I wanted to clear out my closet of all excess blankets and comforters, so I decided a good lighter weight down duvet would be the answer - and I was right. I live in NY, which is currently at approx. 50 degrees tonight. I do have an extra throw under the duvet to keep my feet warm, which I doubt I'll need in the summer with the A/C on. And this particular duvet is large - 90 x 98", which fits my queen sized bed just find. I have been using it for about 2 weeks now, and there are no feathers flying around. I'm quite satisfied. Put this on the bed a couple nights ago.....fluffed it up in the dryer for 15 minutes first. It's light-weight, but warm, and oooohhhh soooo cozy. I really like it!!!!! I find the full/queen size perfect for the queen bed I'm using it on. Love this comforter! It is warm in winter, and cool in summer ! I used to make down comforters for a local business! The quality fabric on this comfortable is superior to the ones I made ! Also there is very little shedding of feathers throughout the quality fabric! No shrinkage, and I both wash and dry it , and it comes out fluffy and fresh ! I highly recommend this comforter! Love this comforter!! Very beautiful and warm! Love how comfortable and silky . The only place to buy high quality sheets and comforters for a great price ! We bought 2 twins for one king size bed. I got the idea from staying at a boutique hotel that does the same thing. No more blanket hogging! Very attractive, but for the past 6 months we’ve been blaming a new kitten for causing a lot of dust and dander in our bedroom. Just realized it’s coming from these comforters. Don’t recommend if they're being used every night. "Does this have tie corners?" No, it does not have corner ties. "Is the blanket stitch individually in square's so everything won't pile up in one corner?" Yes.. I just bought this and love it! Extremely comfortable! Very thick and quality is excellent. Worth every penny. "Is the grey mist light grey? 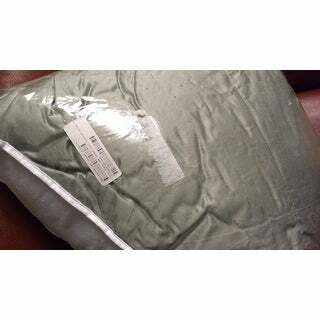 It looks green on the picture"
It is a soft gray. It is not green. "The down in our comforter has shifted to the middle so how can I get it back to the original even distribution ? We have tried to shake it back but it's not working ? Please Help!" Try putting some tennis balls in the dryer when you dry it. This comforter is molting all the time feathers every where. "Can anyone describe the desert sage color? It looks like medlum/light green on my high resolution tablet." "Will the King size fit a true king size bed?" Yes, it will. We have a true king size bed and it fits just fine. Although I would only use it inside a duvet cover. It may fall a tiny bit short on its own. Yes, it was and beautifully.